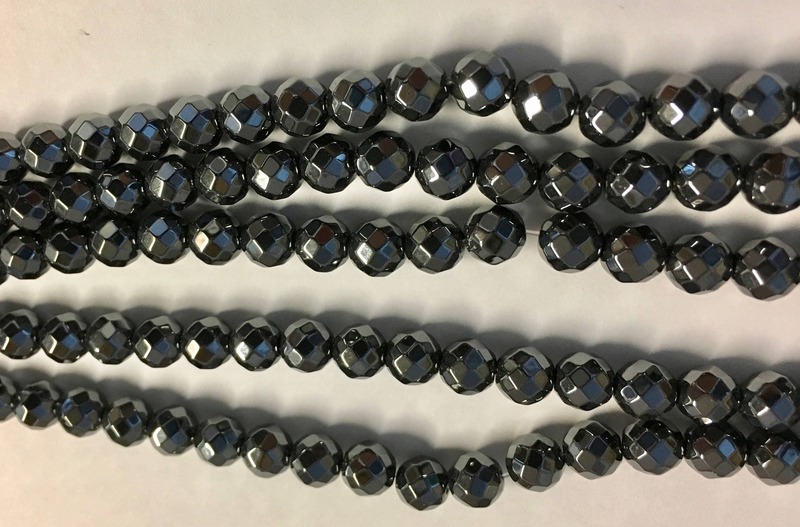 Hematite 6mm faceted rounds. Approx. 34 pcs per 8 inch strand.